This Andrew Martin artwork, the Samara antique bronzed sculpture is a beautiful objet, hand crafted by artisans in India. 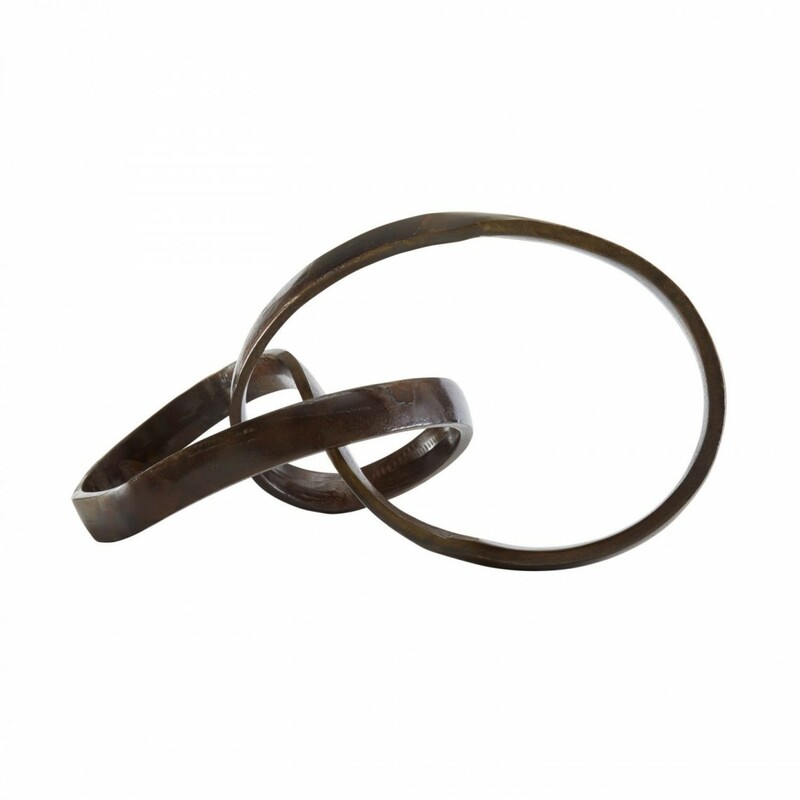 It has a rich antique bronze finish and is a large twisted ornamental piece. An extremely versatile piece, its undulating form would sit beautifully in classical schemes as well as more modern and bold interiors. Whether on a sideboard, a coffee table, or on a mantle piece, this sculpture is a wonderful piece to lift any interior. As with all handmade goods, each one has its own unique markings and vary slightly. The Samara antiqued bronze sculpture is a must have piece.